Long time friend Dr. Duc Voung is hosting a business growth accelerator in Las Vegas 2/22-2/24 at Ceasars Palace. 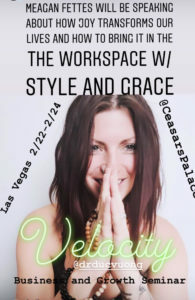 It’s going to be a great opportunity to create community, listen to amazing speakers, participate in a world class women’s panel and lots of great data to soak up and apply to life. I love that he has priced the event where everybody could afford it, even high school students! 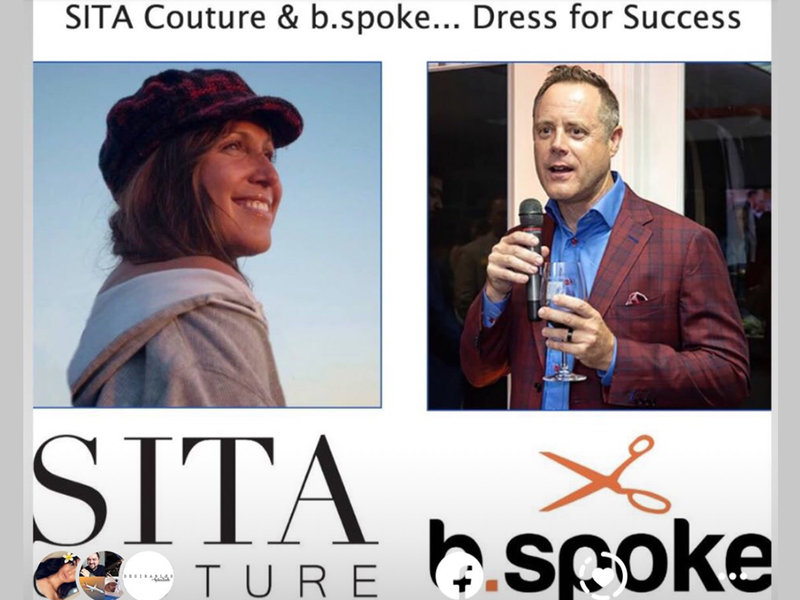 He has SITA Couture and men’s leading suit maker “b.spoke” out of Newport to bring a style element into the mix. This part will, of course, be so much fun💫 Scott Duffy will be giving a workshop on his new book BREAKTHROUGH published by Entrepreneur Magazine which just in itself is worth the trip! 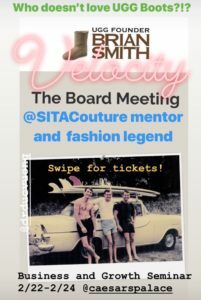 Then legend “bow down” Bran Smith, founder of UGG boots is speaking and providing counsel, wisdom, and information for all those in the fashion retail space. The forever fantastic JonteNot So Small, lead player of the Harlem Globe Trotters will be bringing some great gifts of insight and possibility.Jonathan Stone from Sababa Water can direct those with big visions to start an NGO but don’t know how. Sababa Water has provided clean water and has fed millions. He shows us how.And it goes without mention, Dr. Duc Vuong, curator of the event who’s also literally the top and likely one of the most famous bariatric surgeons in the world because of his 95% success rate of each of his patients. This is do to his hands on coaching before and after surgery. He finds the lessons in his career to be synonymous across the board and has so much to share about this! Very special individual.